All moves begin with a call, email or fax to one of our professional Moving Coordinators. After assessing your personal and family needs, we will set up a free estimate at your convenience. 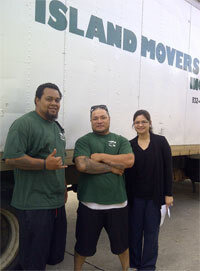 Moving Consultants will help determine the best and most economical way to move your belongings. We will advise you of our full value protection option and other items pertinent to your move. Long or short term storage is available. Ready to get started? Click here for a free estimate!